I wonder if you swim in it if you will get super powers!!!??? This happens a lot with lakes that have industrial hog farms situated around it. They take the pig crap and liquify it, then spray it on their crops which runs down into the lake and creates this. "When pig excrement is washed into the waterway, the large amount of nitrates and phosphors that it contains are also washed into the water. These two nutrients don’t only help corn grow, but once they find their way into the water, they fertilize the aquatic plants and organisms like blue-green algae, resulting in huge blooms of algae that resemble massive, green and blue oil slicks that cover many square kilometres of water. As spring progresses and the lake or stream water starts warming up, this, along with the farm nutrients, causes these toxic algae explosions across La Belle Province." That can't be good. While pretty I bet that stepping into it or fishing from it are not recommended. I'd love to see some dolphins, whales, a few sea gulls, maybe a Squatchy or two peeking around the trees, etc. 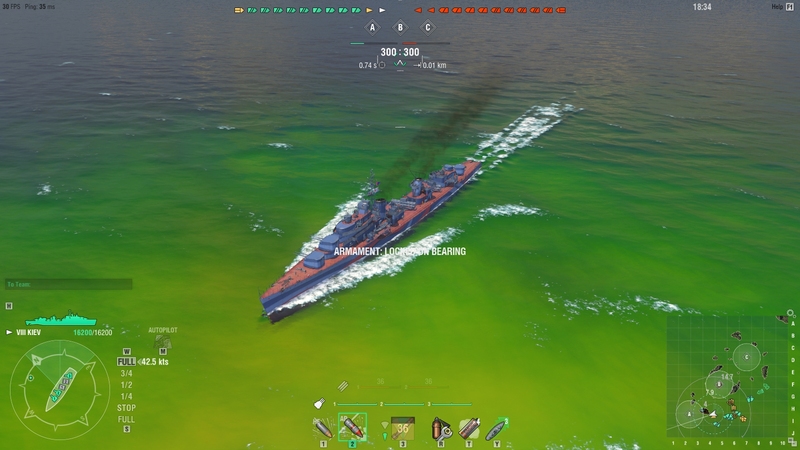 if you free cam around that map, you will note the vast swaths of green water when viewed down from a high altitude. 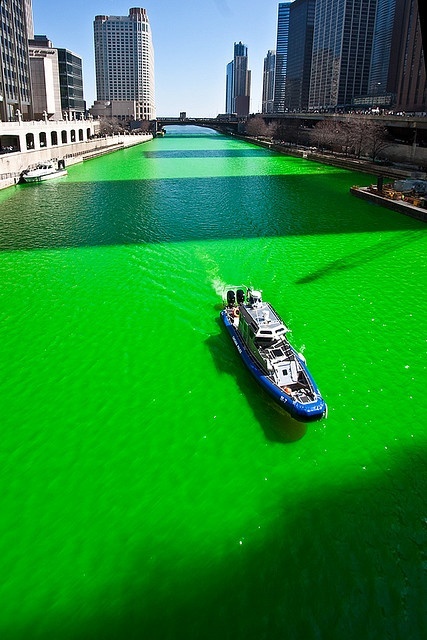 That's Chicago I believe and it's colored on purpose for St Patricks day. I would hope they're not making there own river toxic.